When we set out to launch PartyKroo over a year ago, we knew we were in the business of changing the way people entertain. We wanted to help the busy woman innovate her resources so that she could host her perfect party. It has been a happy surprise to learn how much brick and mortar companies also love the idea of hiring KrooMembers to help with their business events. 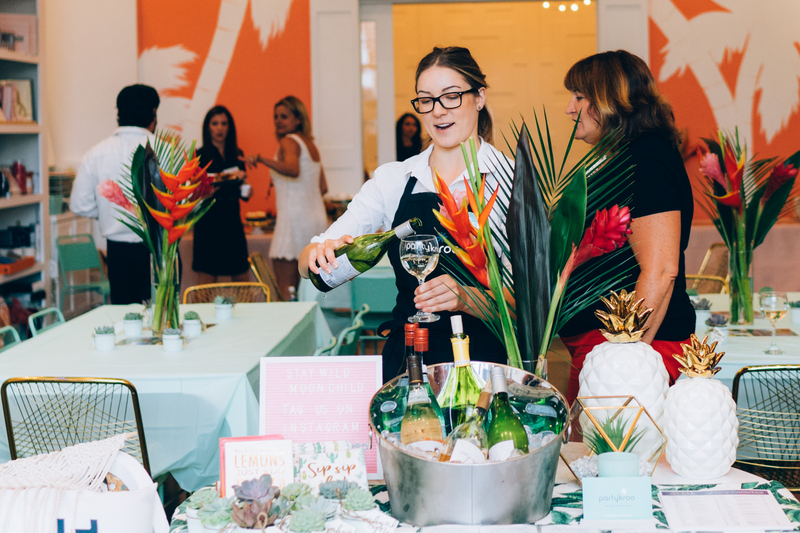 From William Sonoma and Pottery Barn to Perch and CycleBar, our KrooMembers have found themselves surrounded by happy hosts, beautiful dresses, and great products – and not just in the home. As the brick and mortar business of retail continues to evolve and compete with the exponentially growing online shopping world, creating an in-store customer experience is taking center stage. There are key things that the online world simply can’t offer that give businesses the opportunities to engage customers in an entirely unique way. As business women and party connoisseurs, we’re sharing our insights into creating a memorable experience for brick and mortar customers. 1. Create events that focus on a specific market. This allows you to direct messaging, marketing and the entire experience to a single customer group. The things that interest them, the purchases they make and the way they entertain will likely be similar and easier to deliver. We love the Registry events at Crate and Barrel because they bring together couples that are all at the same place in life, regardless of age, income or trends. 2. Entertain your customers. With food. With music. With smell. You have an opportunity to engage all five of your customers’ senses, unlike the online world. Inviting them in to shop or make a purchase with a discount is great, but it’s simply not enough to create a lasting impression or loyal customer. Think of the five senses when you’re planning: smell, taste, hear, touch, see. Our KrooMembers recently found themselves among a room full of women excited to have their hair blown out and enjoy a glass of Champagne at DryBar. These signature events have helped DryBar maintain its loyal customer base..
3. Collaborate. Think bigger than your four walls. Connect with local restaurants, small businesses and like-minded companies to create something unique for your guests. We love seeing local juice companies pop-up after class to serve fresh juice to fitness enthusiasts. It’s a great way to bring brands together that share a common goal and customer. 4. Let your team enjoy, mingle and communicate. Don’t use your regular employees as party staff. They are too valuable when it comes to product or brand knowledge, the store layout or business. Instead, let them entertain and build relationships with your customers. Hire party staff from PartyKroo to focus on setting up, serving up and cleaning up the event.